The Young and the Restless had some very explosive moments this week. The most shocking moment was when Billy who was full of guilt and pain (ballroom chandelier knocked him in the head) revealed to Victoria in front of all the hostages that he and Kelly had an affair. Kelly attempted to shut-down his news flash but Victoria became to curious to learn what he was trying to say and told him to keep talking. Victoria looked at Kelly with anger and hurt and asked if it was true. When Kelly regretfully said yes, she did sleep with Billy, Vikki slapped the living day out of Kelly. After a full week of Womack terrorizing the citizens of Genoa City he released the remaining hostages except for Lilly. He figured since Lilly had so much mouth while he had a gun held on her and the rest of the town she could be the hostage to secure his trip to the airport to board Jack's private plane. Cane begged for Womack to let Lilly go. Colin waits in the distance hiding behind a curtain with a gun and watches his son get shot. He than comes out and saves the day and shoots Womack and is able to get hold of one of the diamonds to keep for himself. All week poor Sharon continues to believe she is seeing Cassie's ghost but the most shocking thing after Sharon actually touches Casey is that we learn Victor is the one who hired this Casey look-a-like to haunt Sharon. Victor tells the fake Cassie to continue haunting Sharon to learn what huge secret Sharon is keeping. Sharon was so spooked the night before that Nick slept on the couch. Poor Summer is so lost that she is starting find comfort and support from this life coach who she has no idea is the man who raped her Grandmother Nikki when she was a teen. Summer drops off Faith at the ranch so she can meet her life coach. Nikki even questions her and trys to make sure summer has researched this person to make they are legit. Summer says, I'm a big girl I can handle myself. Summer meets Ian Ward at his office. He says he wants to do some test on her and when he reaches for the questionnaire in his desk he realizes he doesn't have a copy (yeah right Ian) but says he has some at his room at the Athletic Club and they can do the test there. Goofy Summer agrees and they head off to what I'm sure is going to be a load of trouble for Summer. At the hospital Cane is ok and he and Lilly have a weird moment with Colin when the twins ask about the man who saved daddy. Lily reluctantly says here is the man who saved your dad's life and the twins run over to give Colin a huge thank you hug. In Billy's room Victoria, Jill and Jack are visiting with Billy. Victoria rushes out the room when they learn Billy has no memory of what happened after he was knocked out by the chandelier. Jill leaves which left Jack to be the one to tell Billy that he spilled his own beans about his affair with Kelly. Billy tried to jump out of bed to find Vikki and explain but Jack stopped him and said she needs time. Vikki and Stitch talk about Billy's affair and shockingly Stitch advises Vikki to at least hear Billy out. Mean while Chloe has jetted off with baby Connor and ready to start her new life in Paris with her stolen baby. Chelsea realizes that her grief stricken half-crazed friend has kidnapped her son. She calls Kevin and he rushes over to help. But Chloe has no worries, she has passed through airport security with her stolen passports and now is on the plane flying to Paris. Victor shows up and Chelsea and Adam's condo and learns that his grandson has been kidnapped by Chloe. Victor doing what he does best takes control of the situation and says lets hop in my jet and go after Chloe. Kevin stays in Genoa City to do what he does and uses his computer skills to locate Chloe. He calls Chelsea while she is on the plane and provides her with the information to help them find Chloe and Connor. Chloe is at Chelsea and Adam's Paris apartment that is still under construction. She assist on staying there and sends the contractor or building owner on his way. Later she decides she needs to go out and get food for her and Connor. When Chloe opens the door, there stand Victor and Chelsea (Ooowee its about to get good). Back in Genoa City: Dylan goes to the police station to get help from Paul. Nikki has been stressing over Ian Ward being in town and is having nightmares. Paul let's him know that he can not do anything until Ian Ward does something. So Dylan realizes he has to protect Nikki himself and goes to get help from Nick. Dylan and Nick decide to team-up to stop Ian Ward from messing with their mother Nikki but agree this brotherly truce is just temporary. - Nick and Dylan go to Ian's room. Nick introduces himself and Ian says yes I know your beautiful Mother. Nick punches Ian right in the face. - Victor tells Chloe to give the baby back to his mother Chelsea. Chloe denies that request and says he is staying with me. - Victoria tells Billy she wants to know all the juicy dirt about his affair with Kelly. - Sharon gets a surprise from fake Cassie. This time she takes things too far. Jill Larson (Opal, ALL MY CHILDREN) will join Young and the Restless when Bold and the Beautiful cross over for the Spring Fashion show where Chelsea debuts her Chelsea Lawson Line for Jabot. Larson will portray a stage manager hired to oversee Chelsea’s (Melissa Claire Egan) fashion show which is going to be at the Athletic Club. Larson will have a time attempting to keep Chelsea and Chloe (Elizabeth Hendrickson) AND Lily (Christal Khalil and Hilary (Mischael Morgan) in check to make sure their issues does not cause problems for the fashion show. B&B's Rick (Jacob Young) and Caroline ( Linsey Godfrey) will also be part of the festivities. The cross over will be from April 11th - 16th. - Super Bowl XLVIII champion Seattle Seahawks fullback Michael Robinson will be seen as a guest star on "Y&R" on Thursday March 13 in scenes with Eric Braeden (Victor Newman). 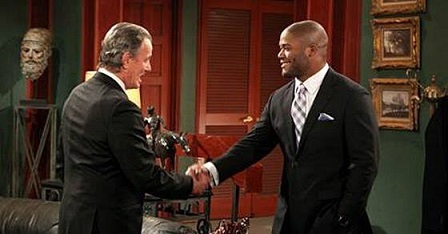 Bonus: In a recent interview with “NFL Total Access,” Robinson revealed that his guilty pleasure is “watching the stories,” particularly “Y&R.” After learning of his interest in soaps, producers at the show invited the athlete to make an appearance. Robinson jumped at the chance to visit the soap and was thrilled when he found out that he had been written into an upcoming episode working with Daytime Emmy winner Eric Braeden, who plays Victor Newman. - Hilary (Mishael Morgan) will to take a trip to The Price Is Right on March 26. 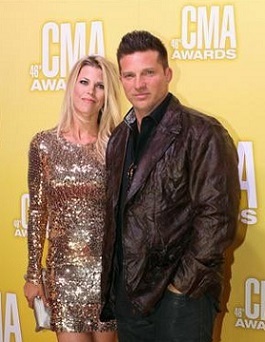 - Steve Burton - re-signed a contract and will continue to play Dylan McAvoy. - Jacob Young (Rick), BOLD AND THE BEAUTIFUL) and Linsey Godfrey (Caroline) along with Jill Larson (Opal, ALL MY CHILDREN) will visit Genoa City from April 11th - 16th. Y&R's Camryn Grimes talks her ghostly return as Cassie Newman with TV Guide Magazine . TV Guide Magazine: We know Ghost Cassie appeared when her mentally unstable mother Sharon [Sharon Case] was off her meds. But who's Fake Cassie? Grimes: You're not going to find out exactly who she is for quite a while — but it's pretty out there. She's a very ballsy character. You'll be surprised at the nature of her relationship with Victor. He doesn't want his son, Nick (Joshua Morrow), reuniting with Sharon, so Victor is working with Fake Cassie to make sure that doesn't happen. Shemar Moore (Derek, CRIMINAL MINDS/ ex. Malcolm, YOUNG AND THE RESTLESS) shared with his fans who he was taking to tonight's 2014 NAACP Awards.